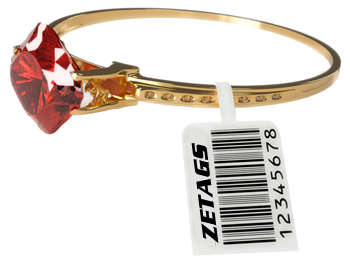 Our range of Jewellry Labels is manufactured using high quality plastic. These are further laminated with a fine transparent coat that prevents the decrease in quality of the product. 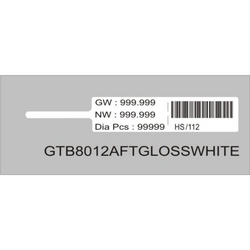 We make sure that proper printing on the tags is done that increases the readability percentage. Our range is available in various standard as well as customized sizes as per the clients’ requirements. Comes in various sizes, thicknesses and colors, these Jewellery Labels are tested on various quality parameters by our experts. 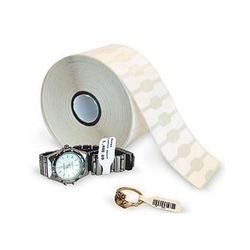 These labels are acknowledged for high strength, tear resistance, clear printing, perfect finish and durability. These are highly durable and comprises of long lasting adhesive. The surface is coated with glassy lamination and UV protection. It is water proof, stain resistant and made available in market leading prices.